The NLL is weird. We have a team that’s 4-2, in first place in the East, and has averaged 20+ goals over their last four games, and another team that’s 1-5 and second-last in the league in goals scored. Then the 1-5 team beats the 4-2 team and I’m not that surprised. Make no mistake, I didn’t expect a Calgary win on Saturday; I predicted another Rock victory. But we’ve already had the Bandits losing to the winless Stealth and then beating the undefeated Rush a week later. We’ve seen the powerhouse Rush start like they could go 18-0 and then show very un-Rush-like second-half collapses in consecutive weeks. A 1-5 team beating a 4-2 team just isn’t crazy enough to make the list anymore. 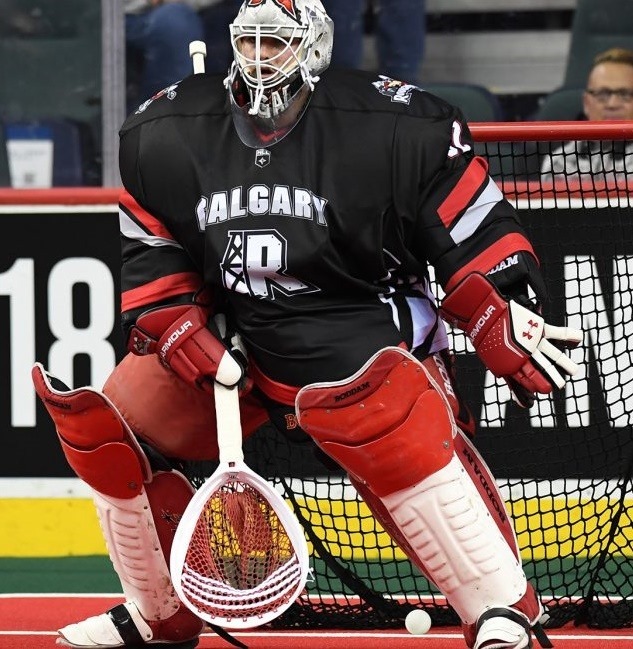 People in the know have been talking about Christian Del Bianco for a couple of years now, about how he’s going to be a star goalie in the NLL someday. In the year-and-a-bit he’s been in the league, we’ve seen flashes here and there of what he could be, but we’ve seen that before from other players. 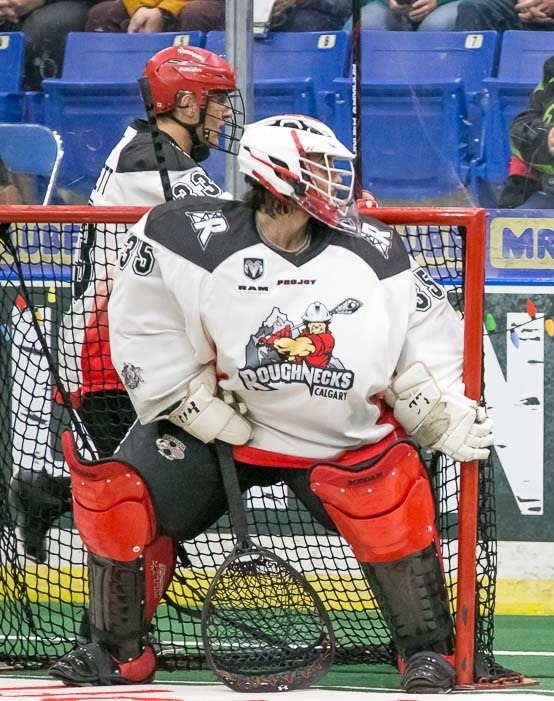 More often, we’ve seen him look more like a goalie that’s been brought up to the NLL level a little too quickly. But last week, he was great in the second half of their game against the Rush (I didn’t see the first half), and I read some comments saying we’re starting to see the same Del Bianco they saw in Junior. I never saw him play in Junior but I imagine that that’s what we saw on Saturday as well. He was simply outstanding all night. He played the angles well, anticipated passes and quicksticks, made all the saves you expected him to make and few you really didn’t. He’s not that big of a guy but he’s quick, athletic, and covers a lot of net. That’s not to say the Rock’s lack of success in the offensive zone was all due to Del Bianco. The Roughnecks defense was strong all night as well, preventing the Rock from getting good looks or getting inside. Of course they had the advantage of knowing that their goalie was having a night, and so they could be a little more aggressive. The Roughnecks offense had a pretty decent game until the end of the third, when they suddenly began having a great game. Calgary scored the last nine goals of the game and kept the Rock off the board in the fourth quarter, which is exactly what Toronto did to New England last weekend. Curtis Dickson scored a few “nobody could have stopped that one” goals and Dane Dobbie scored some beauties from crazy angles, but you kind of expect those. But Riley Loewen scored three and Holden Cattoni had a couple as well, and their transition players picked up a couple of goals and a dozen assists. If you get scoring from all over and are not relying on just one or two guys to do it all, you’re going to have success. Toronto’s offense, on the other hand, was more flat than we’ve seen recently. The final score could have told you that, but they didn’t seem to have the crisp passing and seemingly magical knowledge of where everyone else was going to be. Again, props to the Roughnecks defense for pressuring the Rock into that situation. Rosey was Rosey for most of the game but his confidence seemed to wane in the fourth when the Roughnecks were scoring seemingly at will. Not all of those fourth quarter goals were his fault (the Rock D was a little more porous than we’ve seen the rest of the year), but not all were unstoppable either. That said, the game was pretty much over by then anyway. So the Roughnecks got some confidence with their strong play against the Rush last week, and they played like we knew they could. The Rock fell back to Earth but it’s hardly panic time. Once again, parity in the NLL rears its ugly and beautiful head. Once again, Lintner scratched. Once again, the first four or five Rock players hi-fived the kids on the line and none of the rest did. Props to Brock Sorensen for not simply holding his hand out while running down the line – he made sure to give a fist bump to each and every kid in the line. Second-year player Tyson Bell almost lost it and went after a Rock player but vet (and former Calgary captain) Mike Carnegie was very captain-like, grabbing Bell and calming him down before he took a penalty. Adam Jones took a five minute spearing penalty for basically putting the head of his stick under a Calgary player’s chin and lifting it up. It was after the play and it was a controlled move so the description sounds worse than it really was. It wasn’t nice, but it was hardly intent to injure either and the Roughnecks player may have sold it a little. That said, I was OK with the call. Your stick should never be anywhere near someone else’s throat. Nice crowd of over 10,000. First such crowd of the season. Music: I heard Metallica, Iron Maiden, Black Sabbath, Toto, AC/DC, Queen, and even Rick Derringer. And not dancy remixes of those either. 70’s classic rock FTW! Maybe I am the target demographic. Here it is! The article I write every year that usually generates the most discussion. It’s something that some NLL announcers don’t need at all, others use regularly, and still others desperately need but don’t know about. It’s also possible that some in that third group think they’re in the first group. Sigh. Special thanks to Stephen Stamp (squarely in that first group) who looked over the list to make sure I had them all right. Kevin Brownell – brow-NELL. brow rhymes with “cow”. Not BROWN-ull. Alex Buque – boo-KAY. However apparently when playing in junior, he pronounced it rhyming with “spook”. Pat Saunders – SAWN-ders. Not SAND-ers. Riley Loewen – LOW-en. LOW is like the word “low”, not rhyming with “cow”. Interesting aside: the original German pronunciation would be like “LER-ven” but without pronouncing the R (there’s no really good equivalent in English). Loewen is an alternate spelling of Löwen, the German word for “lions”. Joey Cupido – koo-PEE-do. Not KYOO-pid-o or KOO-pid-o. Jordan Gilles – GILL-ess. Not the same as Brad Gillies on Rochester. Frank Brown – I’ll have to look this one up and get back to you. Leo Stouros – STIR-us. According to Leo, it “rhymes with thermos”. Zed Williams – ZED. In the US, it’s pronounced ZEE. Anthony Joaquim – JOKE-um. Looks like wa-KEEM but it’s not. No joke. Brad Gillies – GILL-ees. Not the same as Jordan Gilles on Colorado. Nik Bilic – BEE-leech according to Nik himself (via Stephen Stamp and Brian Shanahan). Definitely not BIL-ik and it sounds like BILL-itch is also wrong. Mike Messenger – MESS-in-jer. I left him off the list last year because it should be obvious, but I’ve heard somebody say MESS-in-ger with a hard g. I get that the pronunciation of some of these names is difficult – that’s why this list exists. But when the name is also a valid (and not obscure) English word, it really shouldn’t need to be here. Latrell Harris – la-TREL. If you’re the ACC announcer, stretch it out so that it takes you 15 seconds to say Latrell. Aime Caines – AMY CANES. Former Swarm player and assistant coach. Ed Comeau – ko-MO. Swarm head coach. I’ve had this as KO-mo for years but apparently that’s wrong. Clem D’Orazio – duh-RAZZ-ee-o. Black Wolves assistant coach. Mike Hasen – HAY-zen. Not HAN-sen. Knighthawks head coach. Tracey Kelusky – kuh-LUSS-key. In the past I’ve included that kuh-LOOS-key is wrong, but apparently Tracey himself doesn’t care how you say it. Black Wolves assistant coach. Dan Ladouceur – ladda-SIR. Assistant coach of the Swarm. Curt Malawsky – muh-LAW-skee. Roughnecks head coach. Kaleb Toth – KAY-leb TOE-th, not TAW-th. 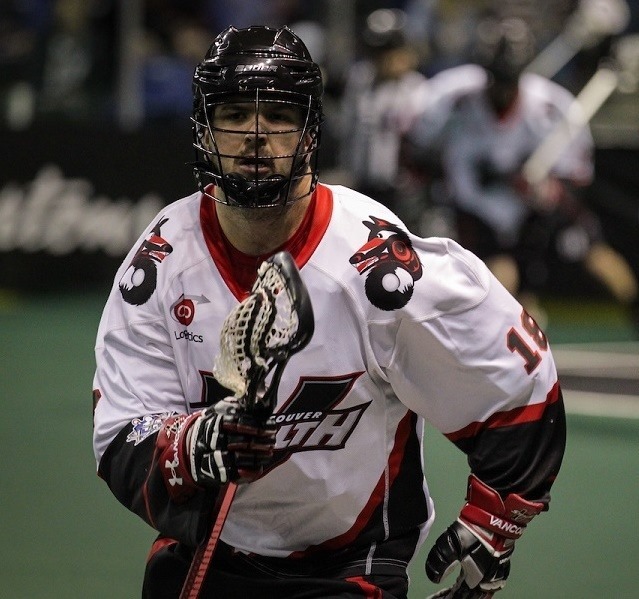 Former NLL player and coach. Hearing Toth’s name mispronounced on a broadcast (after a decade as a star in the league) was the inspiration for the very first pronunciation guide. Brad Challoner – CHALL-ah-ner. Brad says it’s like “challenger” without the g. Stealth broadcaster. John Fraser – FRAY-zer, not like Frasier. Rush play by play guy. Tyson Geick – GUYK. Rhymes with TYKE. Like Geico without the o. NLL host and video guy. Pat Gregoire – greg-WAHR. IL Indoor writer, NLL ReLax host, and NLL TV broadcaster. Marisa Ingemi – muh-RISS-a in-JEM-ee. Journalist covering every sport in the world and breaker of NLL news. Craig Rybczynski – rib-CHIN-skee but apparently “rib-ZIN-skee” is acceptable. Knighthawks broadcaster. Saskatchewan – I’ve always said it as sas-CATCH-oo-on but I’ve heard from Saskatchewanians (is that a word?) that it should be sas-CATCH-a-win or sas-CATCH-a-wen – the last syllable does not rhyme with “on”. The best description of this came from @SaskRushFans on Twitter: “There are definitely several variations that are acceptable, but pronouncing Saskatchewan as spelled is not one of them.” Many shorten it to “s-CATCH-a-win” just as Torontonians say “Tronna”. Saskatoon – sas-ka-TOON. City in which the Rush play. Stephen Stamp – STEE-ven. STAMP-er is also acceptable. IL Indoor writer and editor, podcaster, play-by-play guy.